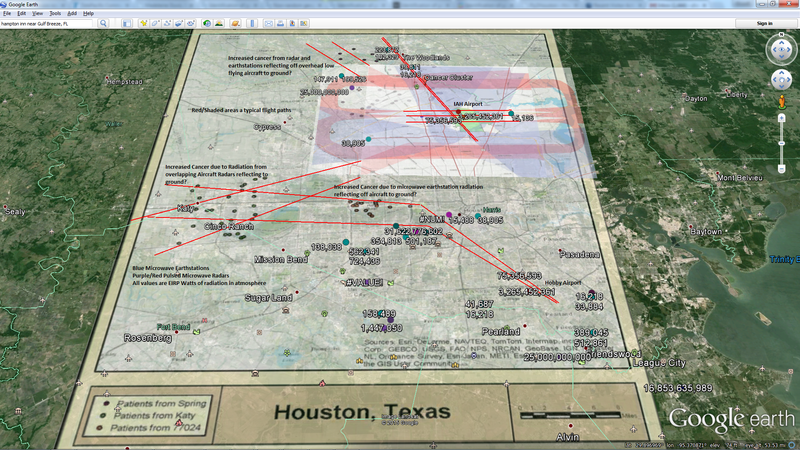 Refracted Non-Isotropic Electromagnetic Radiation Pulsed Power Profile Around Dallas, TX from 15High Power, High Gain, Pulsed Microwave Radars. Seismic activity since 1/1/14 in orange. 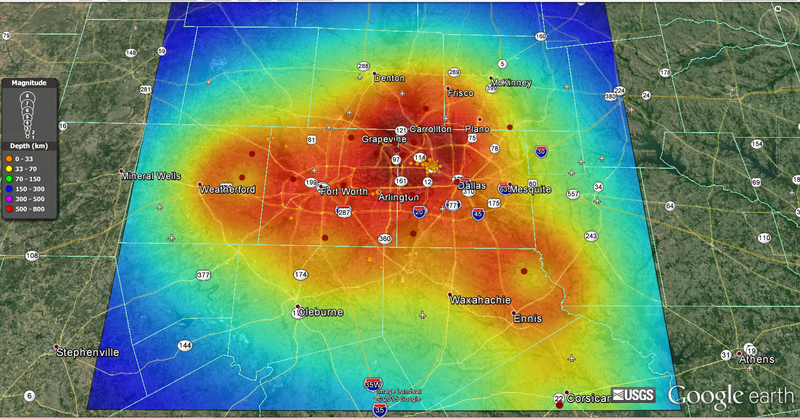 Areas of highest electromagnetic flux have the greatest chance of “atmospheric coupling”, triggering atmospheric booming and shallow earthquakes as the atmosphere discharges/grounds the energy to the Earth. 25,000 ft average cloud ceiling, 30 degree average radar dish angle. The atmosphere acts like a capacitor, discharging Power to the Earth in areas of highest EMF.